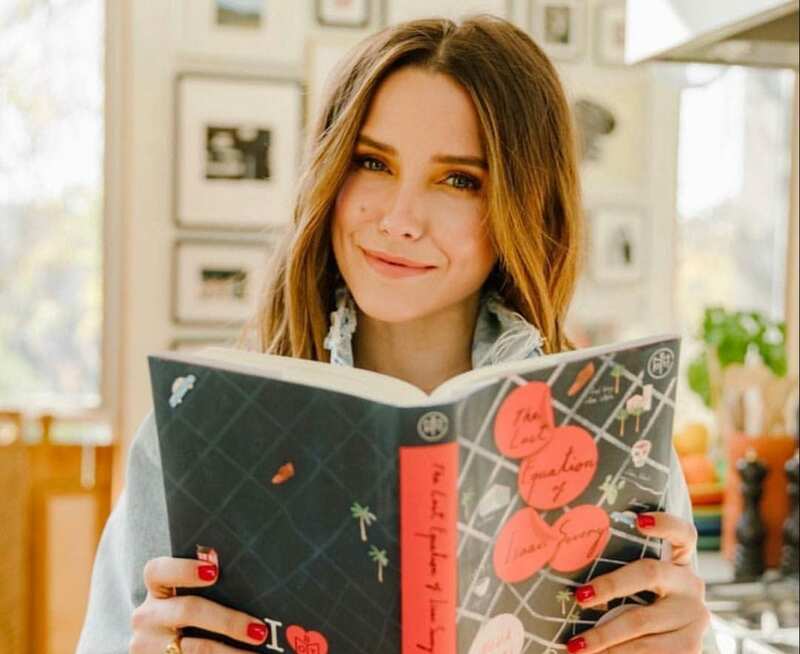 Another month means more celebrity reads that we can’t wait to devour. We’re quickly stocking our #TBR piles with these new book recommendations! Growing up in the 70s and 80s, Carina Chocano was surrounded by images of what she thought women should be but in this new collection of essays, she decided to write her own story about who women really are. This insightful mix of personal stories and analysis makes it very clear why Brie Larson is so obsessed. If you couldn’t get enough of Celeste Ng’s 2017 release, the book is being turned into a Hulu series starring two of our favorite and inspiring women: Reese Witherspoon and Kerry Washington. A story about community, strong mothers and standing up for what you believe is right, Little Fires Everywhere is the well-loved novel many celebrities have raved about in the past year. Hazel’s grandfather has just died after an apparent suicide and she is now left to figure out the mathematician’s final equation. In this literary mystery, Hazel goes on a mysterious adventure to grant her grandfather’s final request, encountering new and questionable acquaintances along the way. We’re all Belletrist babes at heart and this March pick is the eerie novel we can’t wait to get our hands on. For fans of stories about creepy old houses and the secrets they keep, this novel is the perfect spring read. Growing up on the Seabird Island Indian Reservation in the Pacific Northwest, Terese Marie Mailhot didn’t have an easy time growing up. Later being diagnosed with PTSD and bipolar II disorder, she found her way to healing through writing and as a result wrote this inspiring memoir. Drawing on her own experiences with pain and heartbreak, Leslie Jamison explores the ways of the human heart in this insightful book. Commenting on everything from tourism to poverty and illness, this award-winning read explores the extent of empathy. P!NK is obviously an avid reader and her #TBR pile this month gives fans more than a few books to choose from. From a collection of feminist essays in Men Explain Things to Me to a book of poems and the true stories of Trevor Noah’s life, these recommendations will keep you busy all throughout the month of March. Selma Blair’d #TBR pile this month is looking like a great mix of fiction and nonfiction. From a memoir about a woman’s inspiring father to a touching memoir about battling cancer and a fiction read filled with lots of family drama, we think her list is pretty diverse. It seems like Selma is catching up on Crazy Rich Asians before it hits theaters this summer. Kate Bosworth gave her fans a glimpse of what she’s reading this month along with a request for book recommendations. We’re up for reading anything the glamorous actress recommends!